Ah, perhaps one of the more bittersweet moments in the JSA series. Issues 65 and 66. Talking about the WTF-inducing mask on Stargirl's costume in the Smallville previews reminded me of a little number from issue #72 during Johns' run on JSA. Namely, the costume that an alternate-future Patricia Dugan (Courtney Whitmore's half-sister) wore during her very short appearance as Starwoman during the arc with Per Degaton. In our last chapter, we had a rescue mission and a history lesson. This time, we get a chapter so brief that it's practically a footnote, a metaphysical entity gone batshit insane, and the first casualties of the upcoming Infinite Crisis. Seven scans from JSA #74-80. Lately, I've noticed something rather odd: there is a huge amount of fic out there for the Green Lantern fandom, but there is a tremendous lack of Lantern fan sharing. Clearly, this is a problem that must be rectified. Fortunately, it has been! I humbly ask you all to toddle over to Lantern Fans. Hopefully, it'll be a second home for everyone who loves all things Lantern. 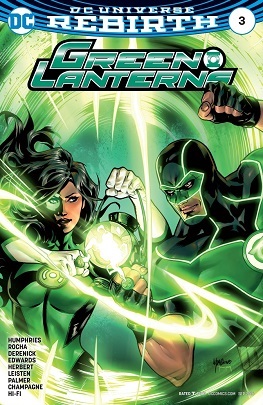 Want to debate on who's the best Lantern? This is your place! Want to predict the events of upcoming titles? Come on by! Want to wax philosophical about past storylines? You have found your comrades! Everyone's welcome, and since the community is fledgling, the more, the merrier! ...well, 51 after Prime fought Monarch, but still. These 52 worlds in the Orrery of Worlds or what have you are so, so very different from the ones we know, and we've only gotten glimpses at them. From 52 - World War III Part One: A Call to Arms, this is possibly the best insight into Jason's tenure as Nightwing. Violent, insightful but still maniacal.